The Black Tape plays like an angsty film student’s ‘risky’ final year project. They have a decent germ of an idea – in this case, a found footage serial killer faux-snuff home invasion film – but don’t have the resources, the know-how or the creativity to pull it off. 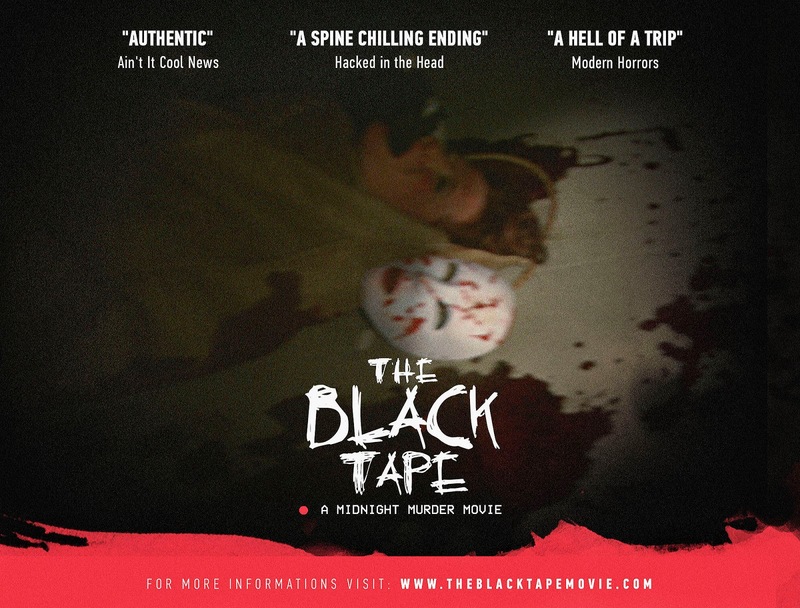 The film presents itself as a tape sent to local news outlets by a killer who documented his systematic stalking and murder of a suburban family. This results in a film that primarily plays out in a combination of hidden camera footage tracking the family’s day-to-day life and hand-held camcorder shots of the wispy-voiced killer trailing his prey through their home. As you can imagine, over the course of a limp 92 minutes, that gets old… fast. The wide angle ‘hidden’ shots do little to compliment the actors as the family’s performances are reduced to their vocals, with occasional arm waving thrown in for good measure. As a result, I have no idea whether any of them were any good, but I’m guessing not. The film is also narratively inert. Various members of the family are kidnapped, hunted and tormented. Pretty unpleasant, huh? Well, no, not really. The Black Tape doesn’t even achieve the simplest task of making the methodical terrorisation of a family scary, shocking, or even remotely pulse-raising. Aggressive sound design attempts to compensate for the lack of scares, to little avail, and the movie is far too tiresome to justify having a date stamp-related chronological puzzle to solve. The Black Tape has some decent ideas but fails to deliver on almost every single one of them. Not recommended. Image and screener courtesy of Ramone Menon and Phenomenon Cinema.